I hope I can find the words to explain what the wolf really means to us so that you’ll join me on this soapbox to protect WOLVES. 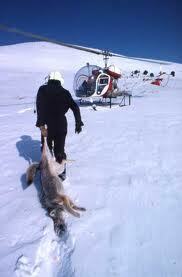 With all that we do to protect ecology, why do we allow so many states to kill wolves, even to put a bounty on them? Of course we have to feed ourselves but the occasional cow or sheep that is taken by wolves is much less important to the ecological balance of our wild places than what is lost. Each of us who loves dogs should be about the care and value of wolves, for without the wolf we would not have our loving Fifi. We should be fighting with tooth and nail (literally) to establish and protect the laws which protect the wolf. How can we stand by and allow wolves to be brutally harassed and killed in the most horrible of ways? 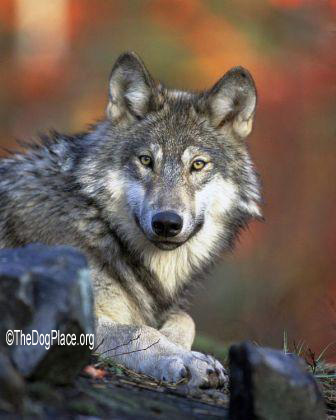 Even when, in conservation efforts, those same wolves have been reintroduced into the wild? 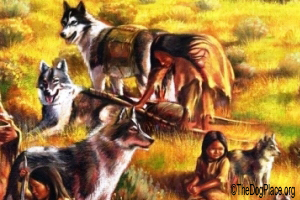 The Native Americans had “middens” (garbage piles) where they would throw bones and in coastal communities, leftover shells which became “mounds.” The wolves would come in the night to forage and little by little they became used to human scent and nearness. Over time brave humans and brave wolves became companions. First they served only to alert the people in the villages of intruders. Then they became friends and companions. We have never looked back from that time 15,000 years ago when millions of wolves were in the wild. Now as you look at that tiny puppy you could put in a tea cup, you should think of the wolf, say a prayer, and give thanks because wolf is the direct ancestor of all dogs, all breeds. The wolf was their beginning. Why a prayer? Because the greatest foe of the wolf is us. MAN. Where at one time in the contingent United States we had hundreds of thousands of wolves, today there are only a few hundred. [Ref 2 - Wolf stats] Why? Because of misconceptions. The wolf will not kill babies. It will not attack a human unless it is cornered. In fact, there has not been a fatal wolf attack in the U.S. since 1888. Only two deaths have occurred in Canada in the last decade. Statistically, we are 110 times more likely to be killed by a cougar or an alligator (highly protected species) than we are to be attacked by a wolf. And yet, the government has set up a repayment plan for ranchers. If a wolf attacks their livestock the ranchers are paid back the market value of the kill. Therefore, there is NO reason to kill the wolf. But we do. We shoot wolves from helicopters, we use traps that cause the wolf to die a horrible death - or chew off its own leg, which they do. We bait the entrance to wolf dens with poison for the wolf family, including baby cubs. We drop poisoned bait from small planes, disregarding other wildlife that will be killed. This is just the tip of the iceberg. Remember the Wolf is on the Federal Endangered List. Socially, wolves are almost as smart as the human and in some ways, smarter. For example; if the weather in not good or food not plentiful, wolves will not mate. (Shall we mention the explosion in human population, or the fate of lemmings when their population reaches critical mass? Many years, only the alpha wolf pair mate. When the mother wolf finally joins the pack to hunt, having been fed by her mate until the cubs are old enough to leave, an aunt or even an uncle will babysit them. All who love dogs should be standing in defense of the wolf. We should be signing petitions, writing our congressmen and getting involved. The wolf is one of the few animal species that hasn’t changed in appearance for thousands of years. So, when you hug your pup, remember, you are hugging a wolf. [Ref 1] How Dogs Changed Human Evolution ~ [Ref 2] Minnesota has 2,445 wolves, Wisconsin as of 1998, 323 wolves, Michigan 278, Isle Royale 17, Montana 108 wolves, Arizona 12 wolves and astoundingly, New Mexico has only 9 gray wolves. In wildlife preserves such as Yellowstone there are 271 wolves, Central Idaho 285 wolves, and Alaska has about 6,273. Related articles: War Against Animal Rights by Judge Gammill and Animal Rights History. Where did it start? What does 1968 Russia have to do with the 1970s movement? Wolves helped plant-eating humans evolve into hunters. 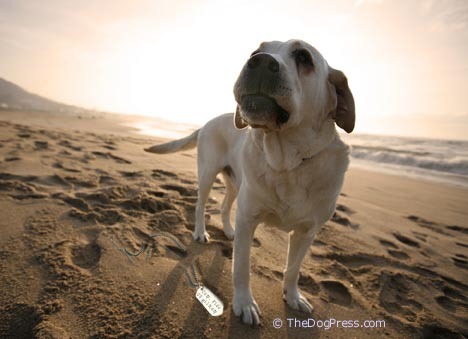 What do dogs have to do with the freedom to be Americans? Supports since 2009. What will YOU do to honor our K9 heroes?